About Us - Adventure Is Out There! TROOP 1283 - "Adventure Is Out There"
Troop 1283 was founded in 1983. With our active scout roster ranging in size from 50 and 60 scouts, it is easy for scouts to make new friends. Activities include: weekly scout meetings, camping, cooking, hiking, caving, biking, shooting sports, canoeing, kayaking, rock climbing, fishing, summer camps and high adventure. We are a scout led troop with a tremendous supporting cast of encouraging and experienced adults. 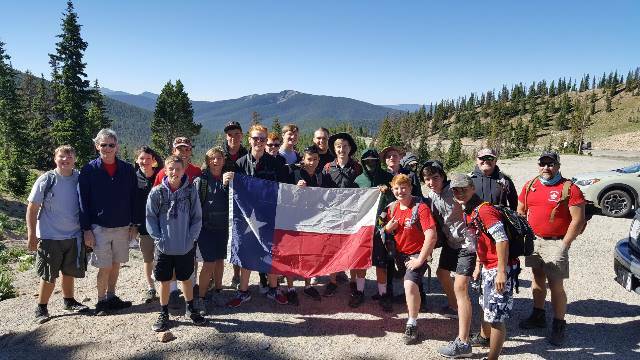 Adults are encouraged to get involved with the troop as Committee Members, Assistant Scoutmasters, Board of Review members, coordinate and plan outings, and teach merit badges. Troop 1283 Mission Statement: Troop 1283 will instill our scouts with lifetime values in Citizenship, Service, Leadership and Ethical character as expressed in the Scout Oath and Law through a scout led, adult guided program that offers Adventure, Friendships and Advancement in a Safe and Fun Environment.